From a closed Pontiac dealer. 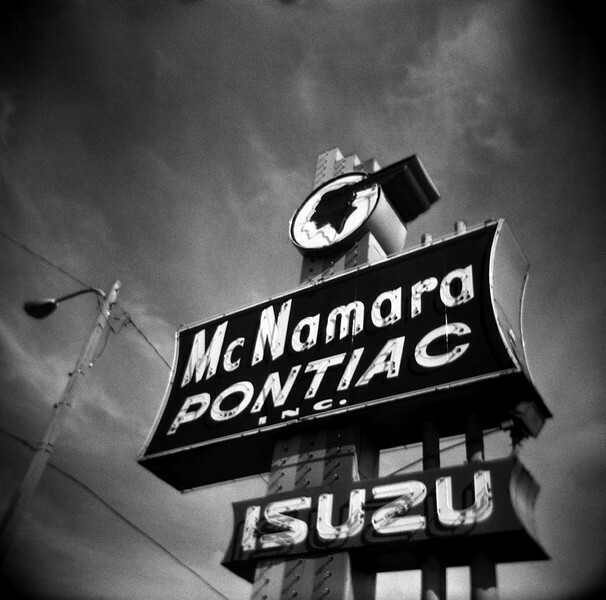 This was taken with the overly trendy Holga as I am experimenting a bit with getting back into film. I know this sign. OBT and 50 in Orlando! My grandparents bought a few cars here. I always wanted the indian head!